Samsung has already been the heartthrob by not only being the top notch smartphone brand but also by introducing revolutionary smartphones Samsung Galaxy S6 and Galaxy S6 Edge. Having launched the two brilliant flagship smartphones, Samsung seems to be struggling to battle against Apple iPhone 6 and iPhone 6 Plus. As Samsung seems to have started to realize the fact, rumors have it that Samsung can soon be spotted with the launch of its next super flagship smartphone which will take its Note series ahead. Yes you got it right, you can expect Samsung Galaxy Note 5 coming soon to try its luck against Apple’s all new flagship duo. Samsung Galaxy Note 5 specifications are expected to include Exynos chipset and a 5 inch plus screen size. Like the latest flagship phone, Galaxy S6, the much expected Note 5 is to come in to come in two variants, one with curved edge display and the other one with a flat screen like every other smartphone. Samsung Galaxy Note5 is the best looking iteration of the phablet to date. In line with the Samsung Galaxy Note tradition, the latest generation is also the most powerful phablet available today by quite a margin. It’s still an incredibly advanced device that’s untested in the phablet space. Performance alone proves that it’s every bit capable of tangling with the other handful of heavy handed phones that have been announced so far for the upcoming holiday season. 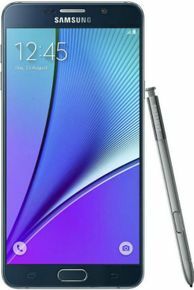 From a specs sheet aspect, the Note5 has all the internals to make it a formidable thing to choose over the competition – more so when its S Pen features add to the overall experience; you don’t get that on other phones. High-end hardware and takes great outdoor photos. Using the stylus has never felt better, and battery life is terrific. The Note 5 strips away some of last year's features. It's pricey compared to large-screen competitors like Motorola's Moto X Pure. Negative point in note 5 which i observed. There is a some points which i observe in note 5 which is disappoint me. It doesn't deserve the price !